God has brought Bethel Community Church a great distance since 1958 when Rev. Houston Harris started our church. We have a rich heritage that has taken us down the road of righteousness and established the ministry of our church in the city of Los Banos. After Rev. Harris retired in 1995, God enabled us to move forward under the leadership of our current Pastor, Rev. Stephen Hammond. 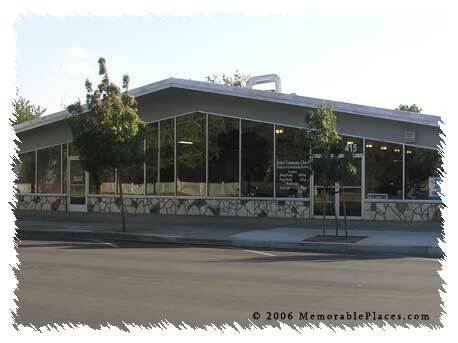 We have been worshipping in our current building at 415 I St. in Los Banos since August of 2001. God has opened many doors for us in our city over the years. In 2008, after partnering for several years with the Los Banos Rescue Mission, we began our own ministry to feed the hungry and meet the needs of our city. We have also joined together with the Community Resource Council to work with the many agencies in our city and county to help alleviate the needs and problems of our city. We have a congregation who have a heart for God and a heart to work. We embrace the greatness of our tremendous heritage as we live to serve our God and our city in a modern and relevant way. We continue to move forward as we appreciate our past and live for our bright future.